“Nine gods ruled the world, until the ultimate betrayal resulted in their destruction. 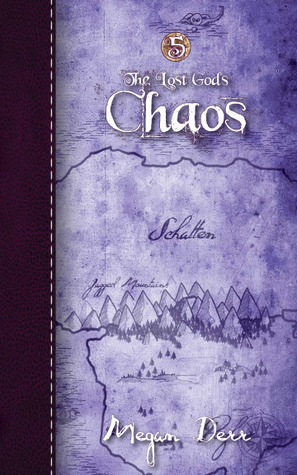 Now, the world is dying and only by restoring the Lost Gods can it be saved.” All of the five kingdoms but Schatten have seen their gods return to the world. Schatten, a world of darkness and ice, has been isolated from the rest of the world by Lord Teufel, the Shadow of the Lost Licht. By his power and enforced by the deadly Sentinels, Schatten has been ruled by Order, its people regimented, living under iron laws for over nine hundred years. But now things are changing, the gods are returning and chaos has entered the lands of Order just as prophesied. A man named Sasha roams the forbidden lands of Schatten, his memory gone, fragmented, with just snips of knowledge to go on. He knows his name and remembers a fight with a beast with violet eyes. He has a whip and knows how to use it. On his finger is a ring of immense power and on his chest is burned a black violet spider web telling him he is cursed. Sasha can remember just enough to realize he has a mission, but what? Sasha has the feeling that time is running out, but the more he tries to remember, the greater agony in his head. A young man from the nearest village takes him in, tends to his wounds and feeds him. When the village is beset by Sentinels, Sasha destroys them, something unheard of and the wary villagers cast him and the young man, David, out. Together they travel to the capitol, Sonnenstrahl, where all paths lead. Sasha can only hope for both their sakes and that of Schatten, that he remembers who he is and what he has to accomplish before they arrive or all will be lost. What an amazing ending to an incredible series! I have to admit that when a series has been as great as this one I am always a bit apprehensive when approaching the final volume. Will the final book tie the saga together? Will it meet or exceed the standards set by the previous books? Will all the characters I have come to love, and the rich drama that has carried me from book to book come together in the glorious ending I have been hoping for? I am so happy to report that with Chaos (Lost Gods #5), Megan Derr answers all those questions and more with a resounding yes! Lost Gods is the saga of five kingdoms whose gods were lost or killed nine hundred years ago. Their worlds were plunged into darkness, their people suffered, and only a handful of prophesies gave hope to the kingdoms of Kundou (Treasure), Pozhar (Burning Bright), Piedre (Stone Rose), Verde (Poison), and Schatten (Chaos). One by one, we watched the unimaginable happen and through forgiveness, pain, and rebirth, each nation regained their gods. Now the only kingdom left is Schatten, the place and the god that started it all, the Lost Licht. In each book, there has lurked a malevolency in the form of a sorcerer or dark magic from the lands of Schatten, as Teufel, the Shadow of the Lost Licht, has tried to prevent the gods from returning. But we have never understood the reasoning or the power behind these attempts, the nature of their god and the land of Schatten remained hidden behind the giant walls and secrecy. But as the saga progressed, it was understood that the final battle was to be taken back to the beginning, high in the frozen mountains of Schatten. Derr has given us the epic battle between Light and Dark, Chaos and Order, and all the threads she has been weaving throughout all the books come together in a rich tapestry full of life, pain, death, forgiveness, love, and rebirth. These are the themes we have visited over and over in every book and so they must all be present here at the end for a mythic conclusion. We have been waiting for the Child of Chaos and were told in Stone Rose that he had been born and must be hidden, protected until it was time for the prophesy to be fulfilled. I had an idea that the Child of Chaos must be someone we had already been introduced to but when he is finally revealed (no spoilers here), I was floored. It never occured to me that he would be the Child, but after the fact, this character was the only perfect one and Derr’s splendid planning and brilliant plot was just reinforced with that reveal. Derr has been meticulous with her plots, as each story moved the saga forward but not always in a manner that was immediately obvious. It might take the next book to bring to fruition an idea or plot line she started with Treasure. The amount of notes and timelines she had to have established to make this convoluted, complicated mythology come together boggles the mind. Megan Derr never once dropped a plot thread or misplaced a character’s purpose in her story. Really, its just so beautifully carried out. And oh the characters we have met! Each and every one a gripping, vividly portrayed person, whether it be a young pickpocket, a sensual White Beast of Verde, the haunted and haunting avatar of the Basilisk or the passionate, sword swinging captains of Kundou. We have had young men sacrificed on alters of fire (I have never forgiven certain events in Burning Bright) and marble, old betrayals forgiven, and gods reborn amid the ashes of hate and love. I have cried and laughed my way through each book while admitting I do have some favorites among her characters. We revisit some of my favorites here and are introduced to new beautifully fleshed out characters who appear in Chaos. High Seer Friedrich is just an example. He is the High Seer of Schatten, one of immense power who helps enforce the laws of Teufel. But from the start, we realize, along with him, that something is terribly wrong with him. He hears a voice in his head, more than hears, he sees this person Dracht who talks to him, visits him in his dreams and makes love to him. Dracht seems so real but he whispers things of such sacrilege that Friedrich thinks he is losing his mind. There is an under Seer who is scheming to take Friedrich’s place and a High Sorcerer who reports that Sentinels are being killed all over the Kingdom, an unheard of event. Then we meet David, a true innocent. An orphan who loses the one person who took him in yet turns around and offers shelter to someone who might have caused that person’s death. David is such a shining presence you fear for him immediately because you have seen what has happened to ones like him in the past. David’s youthful goodness is balanced out by his younger friend, Killian, whose immaturity and bratty nature threatens David’s precarious position within the village. And finally we have Sasha, the warrior with the lost memory and a mission to accomplish. Sasha is older, powerful and at ease with his weapons. He looks in a mirror but doesn’t recognize his face. When he thinks of love, he feels pain and loss yet everything about David calls to him. Sasha can’t remember his identity but realizes that the happiness he has found with David is something he has never achieved before, and the irony does not escape him. One person after another strides across the landscape of this saga, each bursting with life, their emotions so real, so authentic that we cannot help but become involved in their stories. Their hopes and promises become ours, we absorb their pain and when their hearts break with loss so does ours. That is wonderful storytelling, that is terrific writing. The boxes of tissues I have gone through over the course of this outstanding saga would fill a shelf. But if I have shed many tears, I have also laughed, chuckled, and shouted with joy and ended my journey with the Lost Gods absolutely satisifed, amazed at the depth of Derr’s world building, and assured that the books of the Lost Gods will be ones I reread over and over again. What a saga! What heros and what amazing gods we have met along the way. Do yourself a favor. Pick this saga up, settle into your favorite place to read, and prepare to lose yourself in worlds so amazing you will never want to leave. I feel that way every time I think of these books. I think you will feel that way too. This is one of my best series for 2012. Cover: I love these covers by London Burden. Each cover is a map of the kingdom whose story is being told. The colors all have significance as well. Just outstanding. These are among my favorites of the year. Here is the Lost Gods series, in the order they were written and should be read, in order to understand the complicated plots and characters within. This entry was posted in Book Reviews, Books, eBooks, Fantasy, Less Than Three Press, M/M Fiction, Uncategorized and tagged Best series 2012, GLBTQ fiction, innocents sacrificed, Less Than Three Press, Lost Gods series, lost memory, m/m fantasy fiction, m/m fantasy series, Megan Derr, myth building, mythology, saga building, themes of death and rebirth, themes of forgiveness and redemption, world building. Keeper Teeka left his home at the Emerald Keep for his first Contract with Senior Hunter Brandt out in the deserts of their world Persis. Disaster hits only two months into his Contract when Hunter Brandt is killed on his Claim, leaving Teeka without a Contract far from his family and Keep. When Teeka decides to Claim the find for himself and Brandt’s heir, he is surprised to find Brandt’s heir is none other than Senior Hunter Quill, a scarred, enigmatic Hunter who keeps to himself. Quill offers to protect Teeka and together they decide to work the mine Teeka found to both honor Brandt’s memory and to register the Claim for themselves. The head of the Hunters Guild gives Quill and Teeka one month times to work the mlne. If they don’t finish the lode, another Hunter may claim it and all their hard work will be for nothing. As Hunter Quill mines the Claim, Teeka keeps for him, cooking, cleaning and making sure all of their equipments runs smoothly. Teeka also learns the process of mining the gems while their attraction to each other grows daily. But a Keeper without a Contract must keep themselves chaste and their reputation clear of all gossip and their situation is not making that easy. When Brandt’s death turns out to be murder instead of an accident, Quill and Teeka’s suspicions are raised, even about each other. And when others falls sick and Quill and Teeka come under attack, they must decide to trust each other and stand together or lose everything, even their chance at love. 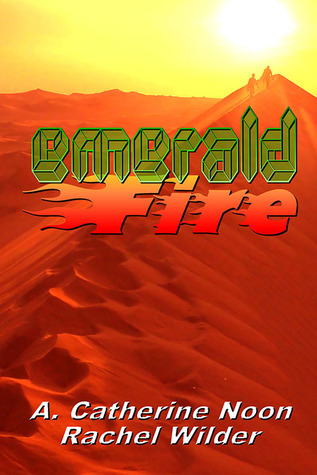 Emerald Fire is a richly layered novel by two authors previously unknown to me. Noon and Wilder have pulled together elements from cultures around the world as well as fabricated many of their own to build a gorgeously textured world called Persis. They have left nothing out in their world building, from geology to biology with various habitats each with its own unique flora and fauna. Their vivid descriptions of Persis’ differing cultures come complete with separate the peoples beliefs, separate religions, government officials, laws, clothing, food, education, and transportation, I mean everything! One of my favorite creations of theirs is a truffle. A furred desert animal, it has a trunk, two sets of eyelids, short trunk like legs and an endearing personality. I kept picturing a cross between a miniature elephant and a dog (the mind boggles). I want one, perhaps two, just like Snuffles and Sniffles in the story. And the cooking! We get an intimate glimpse into Teeka’s meals including a roast he made of a sandcat (including his butchering technique), supplemented with roasted onions, moss bulbs, spices and a sauce. And Teeka’s deserts including his famous lavender berries cake had my mouth watering. They came up with spices and cooking methods and complete menus – just amazing. With some stories, an excess of minutiae works against the plot, swamping it with too much information. Here the opposite is true, the details are seamlessly blended into the narrative, so like the spices in a dish, the details add depth and flavor to the story being created. We learn how the tents work to exclude the heat of the two suns, the gloves and clothing worn to insulate the people, their inside garb, even the “necessities”, usually shared by a group of tents, where all shower and relieve themselves. We get to wander into the market place to buy teas and vegetables or watch Teeka knitting socks or rugs from threads made of all types of matter, animal and vegetable much like here. Each elements serving to wet our interest in life as it is lived on Persis. I cannot congratulate the authors enough on the outstanding job they have done here. Just remarkable. Noon and Wilder build their characters the same way they built their world, with attention to detail and dimension. No character is truly known from the start, not to the reader,not to each other. Emerald Keeper Teeka starts off young, earnest, sure of his talents as a Keeper but he is only two months into his first Contract and feels every bit the novice coming from a sheltered background. He delights in each new sensation and experience and is devastated by Brandt’s death. I had so many questions at the beginning. What is a Keeper? What is the training they keep referring to? What is a Contract? Part of the joy of this story is that the answers are unveiled in small increments as the story unfolds. The character of Senior Hunter Quill is built in conjunction with that of Teeka, both characters fleshing out and becoming real the more we get to know them and their backstory (as told to each other). Their secondary and side characters all equally authentic, all equally detailed. I again wavered between a 4.5 and 5 rating with this story. But a few things kept it from perfection with me. Actually, that would be one thing, the ending. Teeka’s future seemed headed in the right direction, as is the relationship between two main characters I have come to love. But there was still so much more to be settled. I can’t give specifics here as I don’t want to spoil this wonderful book for anyone, I just felt that there was just a few too many loose ends left not tucked in to the beautiful tapestry they wove for us. Teeka would never have left one of his knitting projects in such a state nor did I expect it given all that went before in the story. I hope both authors can be persuaded to continue Teeka and Quill’s saga. They have made a great world and I, for one, am ready for more journeys there. Cover: Cover art by Alessio Brio, an artist I am also not familiar with. Here she takes the colors I usually don’t like in a cover and uses them to create a stunning cover redolent of the heat beating down on the desert dunes. Outstanding job. Conveys the location of the story and the authors names are clear and easy to read. This entry was posted in Book Reviews, Books, eBooks, Fantasy, M/M Fiction, Science Fiction, Uncategorized and tagged 4.5 star rating, A. Catherine Noon and Rachel Wilder, alien worlds, Emerald Fire, murder mystery, off world mines, Torquere Press, world building. When Simon Osbourne starts hearing the cries of children begging for help in his head, he tries to ignore them. It’s against the rule he is governed by to interfere as he is an apprentice mage and the children in danger are werecubs. But as the cries continue, he feels the children weakening and decides to act. Under the darkness of night, Simon steals onto the grounds of a house in the woods, and finds five were children being drained by a demon. Using the magic tricks he has learned as an apprentice, Simon frees the children and drives them back to the Wolf pack compound outside of town. Grey Townsend, alpha of the High Moon Pack, has been going crazy ever since his son, Garon and four other children were stolen from the compound. For two days, the pack has searched but all traces of the cubs are gone, along with hearing their mind speak. When a strange mage brings the children home, Gray owes Simon his gratitude and trust, not something the weres give to the Others. Little is known about the Others except that the groups stay away from each others societies, segregated by rules and laws arcane in nature. Then Simon saves Garon from a demon attack for the second time, and Gray admits they need Simon to help solve the mysteries before them. Simon loves the family life he sees in the pack and is attracted to the handsome Alpha, Gray. With the pack and their cubs still in danger, Simon and Gray come together to help find the demon behind the attacks and begin a possible relationship. But Simon’s actions have repercussions within the Mage Society and he could lose the one thing he has wanted all his life if he continues on this course – the chance to be a full blown mage. Mind Magic combines so many of my favorite elements in one book. It has shifters, vampires, and demons with different takes on all. In this universe magic is divided up into a triangle. At the top point is the Head Magic of the mages, another point is Body Magic of the shifters with the final point that of Soul Magic (demons/vampires). As the author sets the stage in her world, all magical beings have long thought the division between them to be rigid and final. But with Garon demonstrating an aptitude for mind magic as well as body magic, Simon, Gray and the others begin to understand that all is not as they have been told or seems. Dennison’s alternative world is a wonderfully compelling place that pulls in the reader completely from the very beginning and doesn’t relinquish its hold even after the story is finished. I love the notion of the magical divisions and her unique take on all things fantastical extends to shifters and vampires. Recently I was reading a note on the shifter thread at GoodReads where someone wondered about the difference in body mass between the human and animal forms that disappears from most shifter fiction. Dennison addresses that question as her shifters are much larger than the natural wolves, something that doesn’t appear often in shifter fiction. Her shifters live in a pack in adhering to wolf natural history. Her vampires and mages get the same attention and neat twists to them, especially her vampire who takes very little blood, only enough to sustain his magic. The author also excels with her characters, both main and secondary. Simon Osbourne is kind, gentle, appealing in every way. Here it is the mages that lead a lonely life, isolated from their families and others which is used to a nice contrast with pack life. Simon yearns to be a part of a family as his backstory makes plain. Simon has a love of herbs and plants that his grandfather passed on to him which gives Dennison a chance to go into herbology with lovely results. I fell in love with Simon quickly just as Gray and the children did. Definitely not a case of “instant love” as Simon must earn Gray’s trust. Gray Townsend is a great addition to shifter Alphas out there. He is steady, older, a wonderful father and pack leader. Slowly Dennison shows us Gray’s history as the story continues with another interesting twist on an Alpha coming of age at 30 to emerge as leader of the pack, Gray is a family man who takes his responsibilities seriously and still has an open outlook on the world around him. Of all the characters in the story, it is the mages who remain the most hidebound, strictly adhering to the old ways and narrow outlook on the world around them. Then there is Goran, Aunt Maggie, and Liam and Cormac, Simon’s “grandfather”. terrific characters, as fully fleshed out as the main characters. 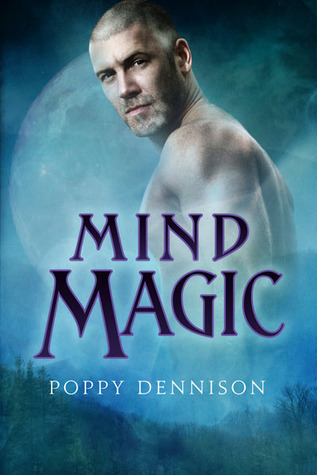 Mind Magic combines some of the most wonderful supernatural elements, tosses it with a good dose of herbology, great characters, and an ongoing mystery to create a story that will continue past Mind Magic. My only quibble is that the end came sooner than I had expected and left me with more questions than were answered. But that makes sense as Mind Magic is the first in a new series called Triad Trilogy. The next books are Body Magic and Soul Magic. Poppy Dennison promises that we will be seeing all the wonderful characters we met here again as the series continues. Great job, great story. And I have a new author to love. Cover: I love the cover by Anne Cain. That is Gray is every respect. How I love her artwork. 200 pages in length. Published by Dreamspinner Press. Find out more about the author here at her website. Note; The next edition of Vocabulary Gone Bad will be posted next week instead of today as promised. Sorry, guys but inspiration hit and I have to add it in somehow! 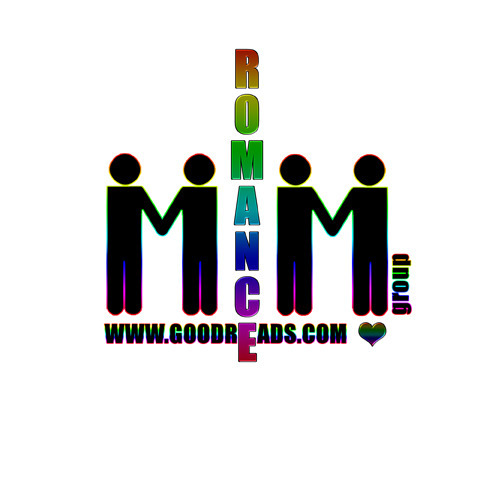 This entry was posted in Book Reviews, Books, eBooks, Fantasy, M/M Fiction, Shifters, Weres, Supernatural, Uncategorized, Vampires and tagged alternative world, dark magic, Dreamspinner Press, mages, magical fiction, Mind Magic, Poppy Dennison, world building. Nine hundred years ago in the land of Pozhar, Zhar Ptitsa, god of souls and rebirth, nearly destroyed all his people in a fit of rage. To stop him, a mage broke him into 1,000 pieces and scattered them into the souls of people present and not yet born throughout the land. Now the world is dying. For some the only way to save it is to resurrect the Lost Gods. For others, they would sacrifice everything, including themselves, to make sure that never happens. The Sacred Texts call those whose souls carry pieces of the god Vessels. The people of Pozhar so fear the rebirth of Zhar Ptitsa, that they have systematically hunted down and sacrificed the Vessels through the years. As one Vessel is thrown on the flames, another is called into awareness by magical means. One by one, nine hundred and ninety eight Vessels have been sacrificed on the alter of fire and rebirth. Now only two Vessels remain unaware that their souls contain pieces of a god. Raz and Pechal are two of the best thieves in the Kingdom. When Ailill, a White Beast of Verde hires Ivan and his a band of mercenaries called the Wolves of Pozhar to steal back a piece of sacred jewelry, there are only two thieves capable of such a high profile theft. For the jeweled comb is in the hands of the Minister of Magic who lives within the castle and only Pachal has been successful in entering without rousing the guards. Raz has been looking for that retirement job, one where his fee is so high that he and Peshal can buy a small farm and become honest again. He worries constantly about his best friend who is much younger than he is and so fragile. This theft will see an end to their life of constant hunger, rags for clothes and fear of constant imprisonment. He agrees to take this mission and join the diverse gang of mercs, thieves and noblemen. As the small band prepares to steal back the jewels,the hunt resumes with fervor to identify, capture and sacrifice the last two Vessels on the alter inside the Cathedral of Sacred Fires. For the king, Tsar Zarya, is dying, the snowfall is earlier and heavier than ever before, and the people grow weary of the killing of innocents. Dym, the High Priest of Pozhar, is desperate to finish the sacrifices and set in motion his long held plans. But the best thieves are hard to catch. What will happen when they realize they are the last Vessels of Pozhar? The Lost Gods is turning into such a stunning series, diverse in content and emotional flavor, complicated plots populated with complex, sympathetic, all too human characters that will make you laugh and weep, sometimes on the same page. Treasure was a rousing adventure on the high seas, with dragons, princes, mermaids and hidden agendas. For all its title, Burning Bright heads in another direction, more localized in geographical area and deeper in content while still continuing with the overall theme of sacrifice and predestination. Pozhar is a kingdom of fire and rebirth. It’s citizens eyes and hair carry the colors of fire, from the deepest of reds to red hot oranges and yellows. They greet each other with “May the fires warm and greet you.” Their epithets use adjectives such as scorching idiot , to the affectionate “little sparks” to shutting someone up with an abrupt “douse it” – fire and ash are always with them. Yet now the snows come early and often, and the formerly hearty and gregarious people are losing their well known warmth as the constant killing, squabbling, and conflict takes its toll on the population. Through the eyes of each character, you get a real feel of a nation falling apart from the ground up. The story is told from the POV of several of the main characters. In other books I’ve read this technique sometimes renders the story disorientating. Here it gives us immediate access into the thoughts and emotions of each character which is crucial when showing the impact the sacrifice of the Vessels has on each of them. The death of innocents is an explosive emotional theme and it is essential to our ability to empathize with the characters to grasp what this means to them. Especially the High Priest Dym who personally attends to each Vessel before he sees them to their death in the flames. He is tormented by doubt, wavering between his belief that the sacrifices are necessary to achieve his goal and the actuality of being the one to watch each and every one die consumed by flames, burned alive before his eyes. Dym would be so easy to hate if you were unable to feel what this has cost him, his unrelieved pain and anguish hidden behind his calm resolve. Then there is Lord Nikolai Krasny, Duke of Alkaev and Advisor to the Tsar. He was introduced in Treasure and his promise as a fascinating character there is fulfilled here in Burning Bright. Brilliant in demeanor and mind, cold in character, his vision is large in scope. He’s very aware of the conflict within his nation, court intrigue is a mere game compared to the losses he has already endured, his sister was a Vessel and the only man he has ever loved refuted him and now lies dying. His remote, sarcastic voice is a needed contrast to those characters grounded in obligation and quiet suffering. Also reappearing from Treasure, is the wonderfully slutty and adventuresome White Beast of Verde, Ailill. The noble shapeshifter brings a much needed levity and sexuality with him. I adored the brief glimpse of him onboard the Kumita and was thrilled to see how heavily involved he is here (and in future books). Ivan and his band of mercenaries, the Wolves of Pozhar, form a sort of outlaw Greek chorus. They don’t care much for religion, and see no reason for the sacrifices. Loyalty to each other and their own flexible set of morals/rules is what guides them. Finally, there is Raz and Pachal, the little sparks and our endearing young thieves. They become the heart and heartbreak of this story. You will quickly come to love them, as do all the denizens of the markets, brothels, and poor of the city. Megan Derr has almost done too well a job with these two because you care for them so deeply and root for them with all your heart. I am not sure I have forgiven her yet for some of the events here but forgiveness also seems to be a common thread throughout the Lost Gods saga so I am waiting to see how it all plays out. Each book centers on one Kingdom and its Lost God. In Treasure it was Kundou and the Three Dragons of the Storm. Burning Bright is the story of Poshar and it’s Lost God, Zhar Ptitsa. 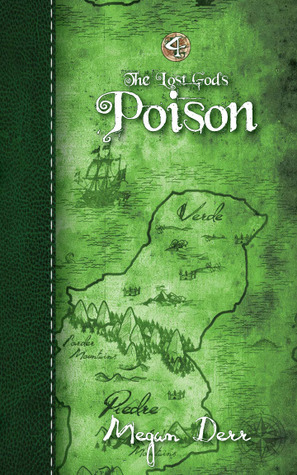 Book 3 is called Stone Rose and the kingdom of Pierdre with its Lost God, the Basilisk, to be followed by the books Poison and Chaos. Slowly, each convoluted puzzle piece falls into place as the tale of the Lost Gods is painstakingly assembled. Like a Rubric’s Cube, each story has the same intricate structure. Each character plays multiple rolls, each supposed dead end reveals a hidden passage, a character of seeming little consequence later reappears much changed in status and power. Death and rebirth are constant companions. Little things that bothered me in Treasure are resolved (somewhat) here but the final solutions and answers to all our questions won’t come until the very end of the last book in the Lost Gods series. Can one love a book when you find no joyfulness in reading it? For me the answer is yes. I gloried in the tale even as I had the taste of ash in my mouth. In fact I will reread this one and will probably hold the entire series close. This is not a tale of romance, although love plays its part. Megan Derr is giving us an incredible epic, spanning the ages, continents and even death. Each book should be read in succession and as a part of the series to get the full impact and role each kingdom and its people will play in the final battle for the Lost Gods. You will both love and hate Burning Bright. Have several boxes of tissue handy. I did and still do. 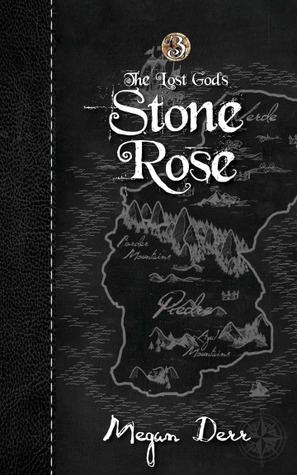 I cannot wait for Stone Rose to come out and the epic of the Lost Gods to continue. Kudos to Megan Derr for giving us two remarkable books in what promises to be one of the most extraordinary fantasy series in recent memory. Cover: Art work by London Burden. The covers are growing on me. Each cover is a map of the kingdom involved, done in a way to resemble parchment. 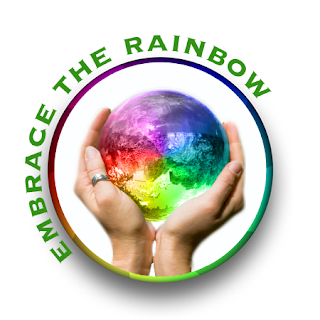 The color choice carries over from the colors of the people of each kingdom. Treasure has a blue cover to go with a kingdom by the sea and its people with hair and eyes the color of the sea. 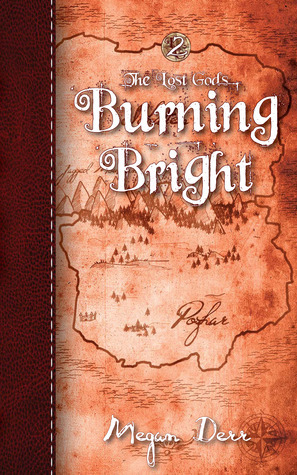 Burning Bright has an orange or burnt cover perfect for citizens of Pozhar with hair and eyes the color of fire. A simple concept for a cover of a book complex in story and character. Available from Less Than Three Press. This entry was posted in Book Reviews, Books, eBooks, Less Than Three Press, M/M Fiction, Shifters, Weres, Uncategorized and tagged epic fantasy, human sacrifice, London Burden, Lost Gods series, Megan Derr, world building.